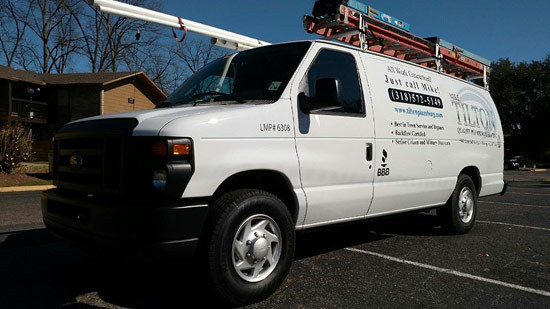 Mike Tilton Plumbing and Heating first opened in February of 2009 with a mission to provide customers in the Shreveport area with professional plumbing and heating services. Today, we continue to do just that. By keeping the size of our company relatively small, we ensure quality control and personalized customer service, as these remain the building blocks of our success and outstanding reputation in the communities we serve. What sets us apart is the high level of customer service and quality of work we deliver on every project. Nothing is done halfway, and no customer is ever left wanting or wondering. Unhappy customers are unheard of here, and our Cityof.com Premier Service Award, Angie's List Superior Service Award, and A+ rating from the BBB reflect that. Specializing in backflow prevention testing, we stay up to date with all city and state regulations to ensure your plumbing equipment and piping systems are working properly. Whether you're a homeowner or business owner, we will make sure your plumbing is working properly so you're always comfortable in your own space. No job is too big or too small. When it comes to the installation and maintenance of your plumbing and heating equipment there's no need to pay more, call Mike today!